Well if the story leaks from the Wall Street Journal, it’s almost certainly intentional so this news appears to be the real deal. 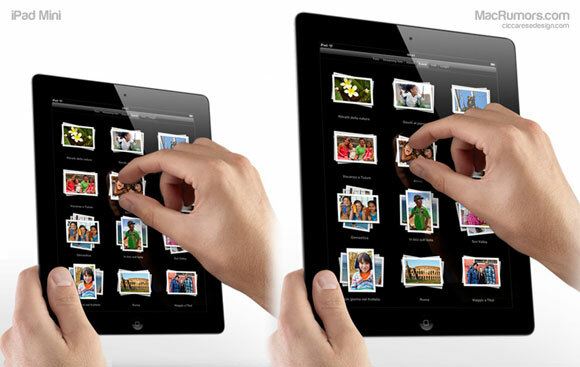 Apple to release 7.8 inch iPad. I blogged recently about the potential for Google’s new Nexus 7 tablet to be useful for the enterprise. The problem with that, though, is that the Nexus 7 is subsidized by Google and thus they will not be likely to want to sell in large quantities. The difference here is that Apple will charge a profit-generating amount for its iPad, but I don’t think $299 for a quality tablet with fantastic software will cause Enterprises too much concern. When thinking about enterprise purchases, be aware that a 7 inch tablet is not a replacement for a 10 inch tablet. A 10 inch tablet is more like a laptop. A 7 inch tablet is more a mobility device that people who are in very mobile jobs such as delivery or field work could use as a large input device–but certainly couldn’t be used as a laptop since the screen is just too small. Would you buy a 7 inch iPad for your enterprise?